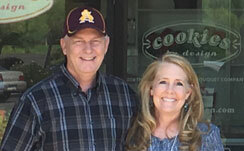 Cookies by Design AZ has been delighting customers with cookie gifts for over 25 years. 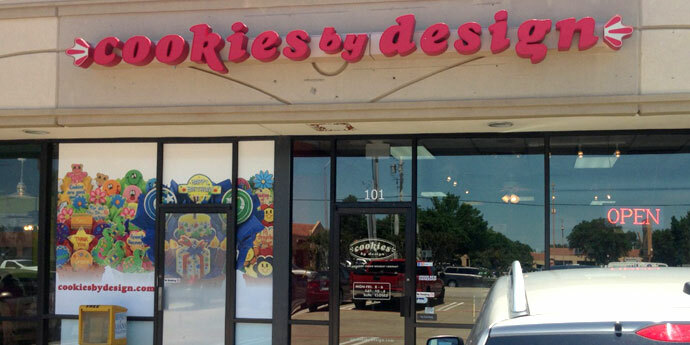 Bryan and Andrea Rodgers took over from the previous owner in 2016 and have really enjoyed bringing joy to people through cookies. 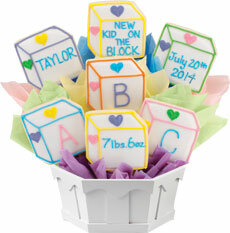 The beautifully decorated cookie arrangements and variety of gourmet cookies we offer make unique gifts for all occasions. They also make stunning centerpieces on any table. Many companies use us for a variety of corporate gift giving needs. Our Scottsdale bakery location on the corner of McDonald and Granite Reef is centrally located, making delivery possible to nearly all parts of the metropolitan Phoenix area. We deliver to students on their college campus, including Arizona State University and Grand Canyon University. Same day delivery is available in most areas. We also ship cookie gift baskets to outlying communities like Prescott, Flagstaff and Tucson. Our cookie experts are here to help craft the perfect unique gift for your celebration. Each of our signature sugar cookies is freshly baked and hand-decorated right in our bakery and can be customized with a name, special message, logo or even a photo. 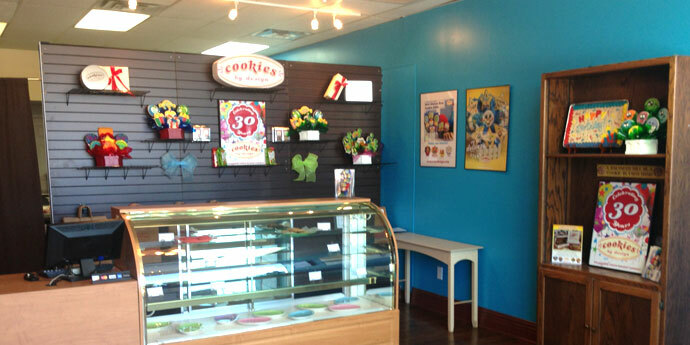 Stop by our bakery and catch the aroma of fresh baked cookies!